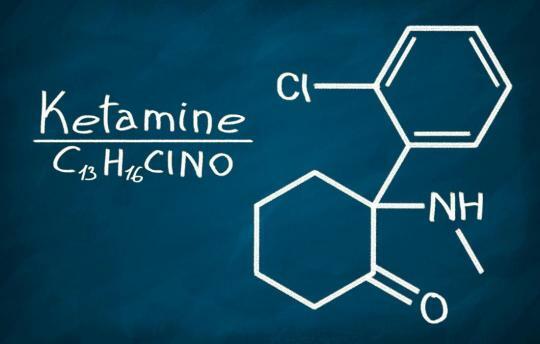 Ketamine has been shown in multiple studies to effectively block pain at the receptor level. Call today for a free consultation to find out if your Chronic pain syndrome is responsive to Ketamine. Ketamine reduces the symptoms of Depression without the side effects commonly associated with mainstream anti-depressive medication. Nasal Ketamine Spray Available Now ! *An intranasal Ketamine spray is prescribed to all patients following conclusion of the treatments to continue the benefits of IV Ketamine. Call today to find out more about our novel approach. 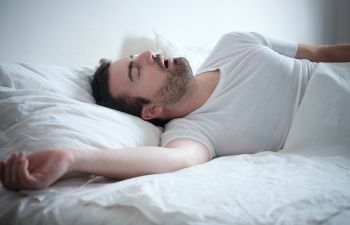 At The Ketamine Healing Clinic of Los Angeles, you’ll receive an intranasal Ketamine spray to continue the positive benefits of the IV infusions. Each infusion is specifically tailored to each patient. In other words, there is no set time limit or pre-determined dosage for each patient. Are You a Candidate for Ketamine Treatment? Ketamine is an anesthetic medication that has been used in both humans and animals for over half a century. The reason for its popularity is its safety profile. Ketamine's use in treating chronic pain has been know for some time, but it's efficacy in treating Major Depression has been realized only recently. We see approximately 85% of our patients significantly reduce their depressive symptoms following our protocol of 5 IV infusions plus at home intranasal Ketamine (as needed). As a Board-Certified Anesthesiologist, Dr. Mahjoubi provides the most effective dose of IV Ketamine safely. 85% of patients notice a change after the first couple infusions. Our supplementary intranasal Ketamine therapy provides a highly effective bridge after your treatments have finished to maintain the benefits received from the IV infusions. Should you request cognitive therapy, we work with a group of top rated Psychologists and Psychiatrists to provide a multimodal approach to battling depression. You may choose to go one session at a time, or take advantage of our 3 and 5 session package. The choice is yours, and you are never charged for all sessions until fully satisfied with each IV infusion. From IV placement to the post-infusion experience review, Dr. Mahjoubi provides a personalized, concierge-like service by making sure you get the best possible experience. You are never seen by a Nurse Practitioner or Physician's Assistant, and speak with Dr. Mahjoubi each time you receive an infusion. After researching several options for infusions, I contacted Dr. M. He worked with me to find the best solution for me. His response to my questions and ability to listen and connect with me as his patient is unmatched. He is truly a healer. Patient. Calm. Reassuring. I took a relative to Dr. Mahjoubi for depression and he has been fantastic. He is an outstanding professional and very knowledgeable about proper care for her condition. Her depression is almost completely resolved. We are so thankful to have found him. I took my close friend to Dr. David Mahjoubi for three treatments spread over 7 days. Wow what a difference the treatment made! She is now using the spray and has a different outlook on life. I’m definitely a believer now. Hello and thank you for reading about my practice. There are many clinics around the country providing Ketamine therapy for Depression. Some provide the Ketamine with an intramuscular injection, while others provide it through the nasal route. The most efficacious route is intravenously, the way we administer it here at the Ketamine Healing Clinic of Los Angeles. In addition, many clinics adhere to the formula 0.5 mg per kilogram, not taking into account the patients medication profile or tolerance level. Here at the Ketamine Healing Clinic we believe each patient needs a tailored approach. Thus, Ketamine infusions are not made until after I speak with you, and typically start at 1 mg per kg (this varies depending on the pre-infusion interview). Dosage is increased with every visit as tolerated. At the Ketamine Healing Clinic we also believe that half of the therapeutic response is obtained via the psychedelic experience Ketamine provides. Thus, after each session I speak to you about thoughts and experiences that occurred during the infusion, as discussing them has beneficial effects. Following conclusion of the infusion series I give my patients the choice of continuing on an at home nasal ketamine spray, or scheduling intravenous boosters of Ketamine when needed. Patients who opt for the at home spray can still come in for IV infusions at their discretion- but will likely not need as many given the effectiveness of the spray. I invite you for a no cost phone consultation. Please email or call me if you have any questions: drdavidm@ketaminehealing.com, 866-987-7874. …I had been through the pill game with all the SSRI, SNRI, benzodiazepines, AP, and AAPs with little benefit and major side effects…With the maintenance medication and the treatments I was able to get off most of my other medication. Now life is beyond what I was hoping. Dr.M always makes sure I have maintenance medication and works with me while adjusting to new dosages and circumstances. He is someone to trust and put faith in. …My depression caused physical pain and other dreadful symptoms for years and years. Many of my symptoms disappeared with my first treatment of ketamine and while I still get depressions I can live an active life and my mood chart is consistently happy for months on end. If you like having a doctor who you can talk to and who will sit down and listen to you – giving you all the time you need, patiently answering all your questions, please try Dr. Mahjoubi. I think you will have a positive experience and no matter what your qualifying illness is, you will find healing and relief…I have literally tried everything and this really works.